Which bag can be elegantly placed into your daily necessities? Classic bag or fresh style bag? A bag comes out to be a product though almost several hundred processes, including design, material picking, assembling, accessory decoration, and so forth. Classic bag, in a way, kind of is on behalf of a brand, if you are fond of a certain band, always pick your item from their classic bags, let’s play a safety card here. On the contrast, just the opposite of the classic bags, the fresh style bag always follow the trends, as a result, the fresh style bag will be not fresh one day and turn out to be the one stay in your closet all the time. What’s more, the classic bag doesn’t mean the old-fashion one while the fresh style handbag oem focuses on details and the latest fashionable elements. Generally speaking, the classic bag keeps the taste of design and material, but there are also some new items of different material and size and design, which just like the upgrade ones. So before you make the decision, get to know about them and ask the shopping assistant for more information. The bags should be practical, which means, the bags should be based on your daily necessity. If you go out of home, and you have to take makeup case, umbrella, something you need to take with you, then the capacity of the bag matters to you. 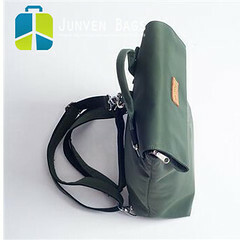 If you are nine five guy, then the size, color and the style of the bag should tend to business style ones.